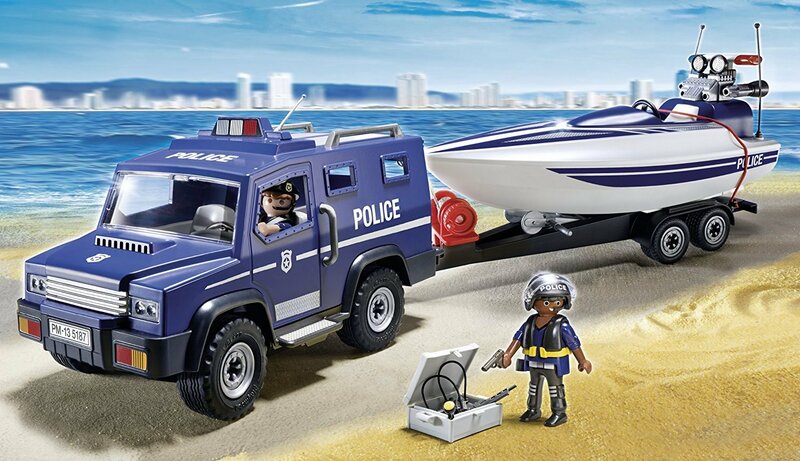 The Playmobil Police Truck with Speedboat includes a SWAT vehicle with removable roof. The speedboat floats on water and can be winched off its trailer. 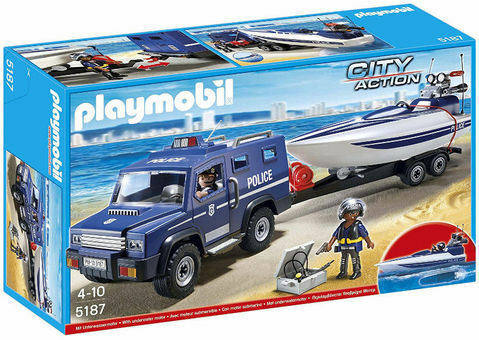 The set includes an underwater motor and two police officers with their equipment.